Based on reviews from 38 experts and 782 users. Learn how our rankings work or see our guide to Derrick Rose basketball shoes. Updated Apr 2019. Derrick Martell Rose, or more known as D Rose, is an Illinois-born basketball player. 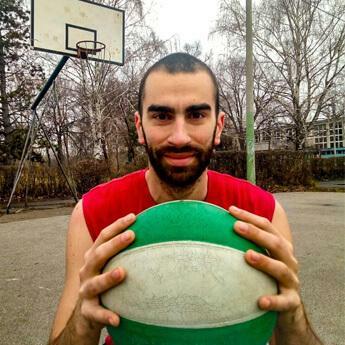 At present, he plays as the point guard of the Minnesota Timberwolves. He stands 1.91 meters (6 feet 3 inches), and weighs 86 kilograms (190 pounds). He has a lengthy list of signature shoes with Adidas and a couple other endorsements, such as a pizza chain and sporting goods company. Despite his series of injuries, Rose continues to play the sport he loves. Rose was born on October 4, 1988 and raised by a single mother in Englewood, Illinois. He is the youngest of four boys. His older brothers taught him the sport, its ins and outs. With their mother, they protected Derrick from being exploited by street agents. He was a hot item in Simeon Career Academy as a freshman and wore jersey number 25 in honor of Benjamin “Benji” Wilson, Jr., a promising basketball player of the school who was murdered in 1984. Rose joined the Wolverines varsity team in his sophomore year under coach Robert Smith. They lost in the state regionals but Rose garnered the third team spot in Parade magazine’s All-American selection. In 2006 when Derrick was still in his junior year, the Simeon Wolverines won the Chicago Public League championship. They advanced to the playoffs and won against the Richwoods High School, giving the Simeon Career Academy its first state title since 1984. For this, Rose received another Parade All-America selection, EA Sports All-American Second Team pick, and an All-State Illinois mention. Sports Illustrated rated Derrick Rose the fifth best prospect in the nation in his senior year. With Rose leading the varsity team, the Simeon Career Academy won two straight state championships. He bagged several more awards for his performance afterwards. He was named Illinois Mr. Basketball, McDonald's All-American team, USA Today First Team All-American, and First Team honors by Parade and USA Today. He was chosen to participate in the Jordan Brand’s All-Star Game and Nike Hoop Summit. He was also hailed as the decade's third greatest high school point guard by ESPN RISE magazine, which was published only in 2009. The Chicago Bulls selected Derrick Rose as their first overall pick. He was awarded the Eastern Conference Rookie of the Month honors for November and December. He won the Skills Challenge in the All-Star Weekend and became the first rookie to get the trophy. Rose won Rookie of the Year of the 2008-2009 season. In the 2009-2010 NBA season, Derrick Rose was chosen as a reserve for the Eastern Conference in his first All-Star Game. It was reported by ESPN in January 2010 that Rose has the fourth best-selling jersey. In the 2010-2011 season, Rose became the third player to score 2000 points and 600 assists in one season after Michael Jordan and LeBron James. On May 3, 2011, he was awarded the Most Valuable Player of the NBA, becoming the youngest to receive such award. In the history of Chicago Bulls, Derrick Rose and Michael Jordan are the only members to win the MVP award. In December 2011, Derrick Rose and the Chicago Bulls inked a five-year contract extension worth $94.8 million. Derrick tore the ACL in his left knee and had a surgery on May 12, 2012. He was absent the entire 2012-2013 season. He returned to playing on October 5, 2013 against the Indiana Pacers. In November 22, 2013, he tore the meniscus in his right knee and underwent surgery. A year later, Rose returned to the game against the New York Knicks as a season opener. Unfortunately, he had another knee injury in February 2015 and received another round of surgery. His final season with the Chicago Bulls was in the 2015-2016 NBA season. Along with Justin Holiday, Rose was traded on June 22, 2016 to the New York Knicks. He injured his left knee on April 2017 and underwent his fourth surgery. Derrick Rose signed with the Cleveland Cavaliers in July 2017. However, he left the team to re-think his future with the NBA and the game. Upon his return in January 2018, the Cavaliers won over the Orlando Magic. In a three-way trade that also involved the Sacramento Kings, Derrick transferred from the Cavaliers to the Utah Jazz in February 2018, only to be waived by the Jazz two days later. Ultimately, Derrick Rose inked a contract with the Minnesota Timberwolves on March 8, 2018. With a lifetime contract in the works, Adidas will surely continue to release Derrick Rose basketball shoes. The signature series is undeniably a favorite of most wearers. Because of their quality, the shoe models are almost always present stateside and in other territories. adiZero Rose 1. 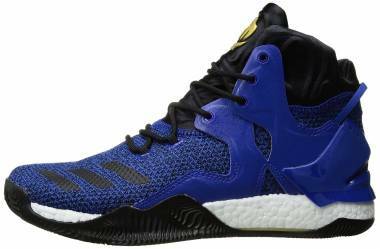 Released at only $100, the first signature shoe of point guard star Derrick Rose is notably lightweight, flexible, and breathable. With Puremotion pods, its thick rubber outsole provides a good grip for quick stops and any footwork. The adiZero Rose 1 was released in October 2010.
adiZero Rose 1.5. In February 2011, the “half of the adiZero Rose 1” was released. The 1.5 has almost the same features as its predecessor, only with a different design. The combination of SprintFrame in the upper and PureMotion on the heel delivers a supportive and stable ride. adiZero Rose 2. 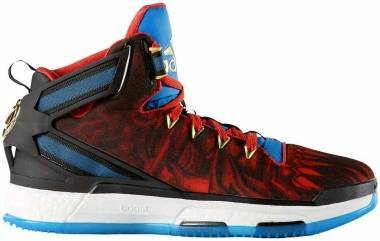 Also tagged as the adiZero Rose Dominate, the adiZero Rose 2 was released on February 2012 at $110. Robbie Fuller designed the shoe model. It has Adiprene at the forefoot and Splatter traction for easy cuts and crosses on the court. The upper has SprintWeb for ventilation. adiZero Rose 2.5. The adiZero Rose 2.5 is also known as the adiZero Rose 2.5 Dominate. On February 2, 2012, it was released at $110 and designed by Robbie Fuller. He said, “It’s a blend of science and art. It has to be both. It has to beautifully work. People are passionate about what works and what they love. That’s what we’ve done with Derrick. He’s so focused and passionate about basketball. But he’s also connected as a kid and to the city.” The shoe model is equipped with a firm adiPrene foam in the forefoot as cushioning. The SprintFrame at the heel delivers impact absorption. The SprintWeb upper helps keep the foot dry. D Rose 3. With a combination of polyurethane insole and full-length EVA, the D Rose 3 is perfect for guards. The weight is evenly distributed as it protects the wearer from impact. The full-length herringbone traction works beautifully on both indoor and outdoor courts. With minimal break-in time, the synthetic leather upper can last over a season of games. These D Rose sneakers were released in October 2012. D Rose 3.5. In January 2013, the D Rose 3.5 was released with almost the same technologies as its predecessor. For foot containment and a comfortable fit, the upper utilizes the SprintFrame and SprintWeb technologies. For ankle support, the collar has the Geofit technology. D Rose 4. 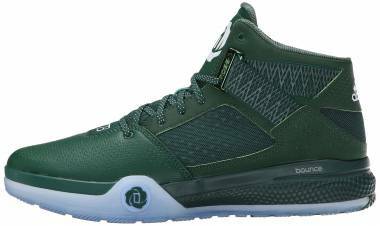 At $140, the D Rose 4 was released with an adiPrene crash pad on the heel and EVA midsole. For a secure and comfortable ride, the GeoFit and SprintFrame technologies are used for the upper. The perforated leather upper helps wick away moisture. The non-scuffing outsole has a thick rubber compound that receives great feedback for its durability. D Rose 4.5. The D Rose 4.5 unsurprisingly takes after the look of the D Rose 4. Its midsole has an EVA carrier with an Adiprene crash pad glued to the heel area. This setup not only provides a comfortable ride, but also a smooth heel-to-toe transition. The non-marking outsole rubber reportedly performs beastly on court. The thick grooves withstand any court floor. Released in January 2014, the only noticeable change is the added synthetic leather and ornate metal lace tips. D Rose 5. 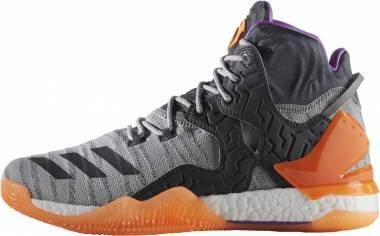 Released at the same price of $140 in February 2015, the D Rose 5 surprisingly has a firm and full-length Boost. The change in midsole technology does not disappoint. It delivers optimal impact protection and stability for both lateral and linear movements. Fast and multidirectional footwork needs breathability, which SprintWeb did not fail to deliver. D Rose 6. Just like its predecessor, the D Rose 6 carries Boost cushioning. These D Rose basketball shoes are inspired by his dedication and love for the city of Chicago. Released in October 2015, the upper is available in Primeknit, synthetic leather, or mesh combo. The heel straps are more of an aesthetic bonus than a support reinforcement. The shoe has a wide base that provides stability and helps prevent ankle rolls. D Rose 7. Prior to Derrick’s move to the New York Knicks, the D Rose 7 Solar Red was released at $160 on August 11, 2016. This was followed by the Smoke Gray colorway two days later. Aside from reminding him of his home, the shoe’s design is inspired by the Great Chicago Fire in 1871. In fact, the wavy herringbone pattern is oriented in such a way that it resembles rising smoke. It is reported to resist dust and performs effectively on any court. It also provides optimal court grip and control. These D Rose shoes feature a full-length Boost for a comfortable ride with great energy return. The shoe also features the Geofit molded collar for a one-to-one fit. In Europe, a low version of the D Rose 7 was released on June 6, 2017 at $130. D Rose 8. The Great Chicago Fire plays a significant role in the design of the D Rose 8. The zipper-like traction pattern resembles the flames of the tragedy. It has received a mix of positive and negative feedback from shoe owners. Nevertheless, these D Rose sneakers are considered as one of the best basketball sneakers of 2017 by most. Dust and debris cannot beat the grip of these shoes on any surface. Aside from the comfort of the Boost cushioning, the shoe also delivers support and stability through its use of the Geofit technology in the upper. Even if it’s as close as it is to perfection, the D Rose 8 still has minor disappointments such as the length and durability of the shoelaces and the indispensable need for some break-in time. These D Rose shoes were released in October 2017. D Rose 9. The D Rose 9 was first seen in December 2017. It is scheduled to release in July 2018 with no confirmed price yet. These Derrick Rose basketball shoes will feature Bounce cushioning and a Primeknit upper for a glove-like fit. The non-marking outsole rubber features Adiwear for durability, flexibility, and abrasion-resistance. A standard lace-up system with rope-like shoelaces is used. Internet bloggers have estimated the price to be between $120 to $140. It is reported to come in four colorways: black and gold, black and red, black and white, and gray. And previous the reports are almost correct. The Primeknit upper delivers a flexible and sock-like fit as Adidas promised. The D Rose 9 comes with a unique heel counter. The rubber traction comes with Adiwear for extra durability and grip. The shoe retails for $140. Adidas D Rose 773. The D Rose 773 has a perforated leather upper. The outsole is the same as the adiZero Rose 2.5’s, which has a splatter traction pattern for easy cuts and crosses. Adidas D Rose 773 III. 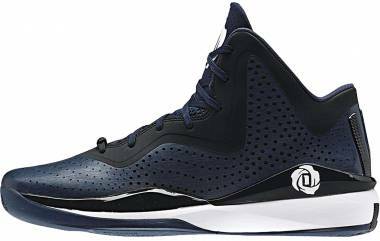 The third D Rose 773 shoe model was released at $115 a pair in August 2014. The leather upper has SprintFrame for a lightweight, durable, and comfortable fit. The midsole boasts the Adiprene+ cushioning in an EVA carrier. A linear and wavy herringbone traction pattern is seen on the outsole. Adidas D Rose 773 IV. The versatile D Rose 773 IV comes in a mid-top silhouette. Its translucent rubber outsole has pliable grooves that hold their own on dusty surfaces. The mesh upper is combined with perforated synthetic leather for a breathable and durable ride. The midsole is equipped with Bounce cushioning for impact protection. 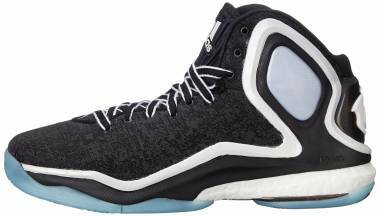 Adidas D Rose 773 V. The D Rose 773 V has a sharp herringbone traction pattern with thick and deep grooves for optimum court grip and control. When the shoe model was released in 2016, Rose was already on his way to New York but this shoe still came in an all-red colorway that honors the city of Chicago. It features Bounce cushioning for great comfort the entire day. Having two or more signature lines is common for famous signature athletes. Take the numerous shoe lines of LeBron James and Kobe Bryant as examples. Each has at least three signature lines in different price tiers to keep the cash flowing for Nike. The same goes with Derrick Rose. Aside from his D Rose and 773 shoe lines, he has the Englewood series, which of course honors the neighborhood of Derrick Rose’s birth in the southern part of Chicago, Rose has helped strengthen and inspired the younger generations of the city to bring in joy and hope. D Rose Englewood. 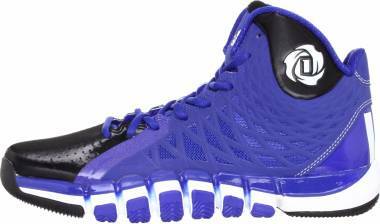 Reported to be the low-top version of the D Rose 3, the D Rose Englewood has a lightweight upper made of synthetic leather. It features SprintFrame technology for better fit and support. These D Rose sneakers were released at $100 in mid-August of 2013. D Rose Englewood 2. Released in January 2014, the D Rose Englewood 2 was sold for $100 a pair. The midsole is full-length EVA and Adiprene+, delivering comfort, court feel, and responsiveness. For a smooth heel-to-toe transition, the midfoot is equipped with a torsion plate. For fast and explosive footwork on any court surface, the multidirectional traction pattern can cover that. The breathable upper has a durable and perforated synthetic leather topped with a traditional lace-up system. D Rose Englewood 3. 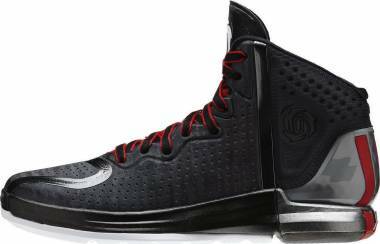 The D Rose Englewood 3 was released in other regions prior to making its way stateside. Many are surprised with its traction pattern. It is a combination of Rose logo and herringbone. For propulsion and comfort, the midsole is equipped with Adiprene+. 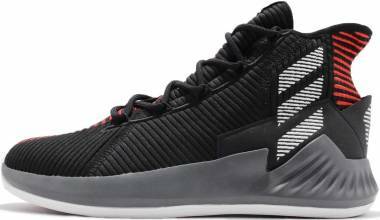 The durability and lightness of these Derrick Rose basketball shoes come from the synthetic leather upper. Its low-top silhouette features TPU at the heel for stability, and a torsion plate at the midfoot for foot containment. D Rose Englewood 4. A first in the Derrick Rose shoes list, the D Rose Englewood 4 has a standard lacing system with a diagonal strap. The breathable mesh upper has synthetic overlays for durability. The forefoot and heel of the outsole is made of translucent rubber, while the midsole has a solid rubber. With more or less 60 people working on the Derrick Rose basketball shoes and his over-a-decade contract that's worth more than $200 million, it’s clear that Derrick Rose is a huge asset to the Three Stripes brand. These signature shoes wouldn’t have succeeded if not for the geniuses who led the design team of each model. These designers are discussed below. We also shed light on how they gather ideas and inspiration to create such magnificent works of art. Jack Gray. According to his online profile, Jack Gray worked for Adidas from 2004 to 2017. He said working with Derrick Rose shoes needs a clear interpretation and thorough understanding of both his on-court explosive playstyle and off-court style in order to come up with a creative presentation of the two sides of the NBA star’s personality. Kohei Kanata. Kohei Kanata was a project designer at Adidas from April 2010 to October 2013. He is one of the designers of the adiZero Rose 3.0 and D Rose 4. Prior to his employment with Adidas, he was with Reebok for almost seven years. He is currently a senior footwear designer at Nike, he has been since April 2014. His design for the D Rose 3 was once questioned for getting an inspiration from the Melo M11. Rob Lee. Rob Lee is currently the Vice President of Creative Direction for Training and Sportswear at Adidas in Nürnberg Area, Germany. He was in-charge of designing D Rose shoes and apparel. He mentioned he does not want to bother Rose in-season when designing. Instead, he talked to his family and friends to know the point guard’s likes and dislikes. He also wanted the D Rose basketball shoes to "capture(s) all performance needs for on the court, but at the same time a consumer could wear them with jeans." Signature shoes will not be recognized if there are no logos and unique symbols on them. These features explain the character and interests of the signature athlete. These logos and symbols also tell that the athlete is part of NBA’s roster of elites. Derrick Rose has only one very recognizable symbol that effectively sets apart the D Rose shoes: The D Rose logo. The D Rose logo was first implemented on the D Rose 3. Derrick mentioned how special the logo is to him. It speaks highly of the three most important things in his life: his family, the city of Chicago, and basketball. Designer Rob Lee explained that it is made up of three rose petals representing Rose’s brothers - Dwayne, Reggie, and Allan. They helped him stay focused on his journey to the NBA. The edges of the petals are rough, alluding to the aggressiveness and explosiveness of Derrick Rose on the court. The number “1” in the middle represents his beloved mother Brenda, who Derrick honored upon accepting his MVP award in 2011. They just have a special bond, and she motivates him to play at the level of an MVP all the time. Derrick Rose may have been coming on and off the court due to his injuries, but he is still one of the highest paid athletes of the National Basketball Association. He is also under contract with Adidas, which continuously produces D Rose basketball shoes for sale. Brands do not release signature shoes in the same way as their non-signature models. They have mathematical analyses and sales statistics to determine the right time to release signature basketball shoes. 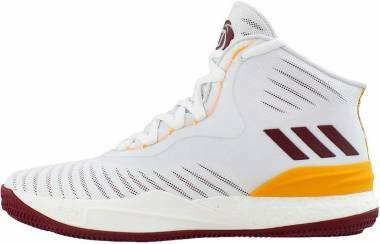 As seen on the pattern, Adidas releases D Rose basketball sneakers twice a year. In the first quarter of the year, the release is either in January or February. In the last quarter, the release is usually in October or November. The recent years, however, saw a shift to doing the release in the middle of the year. Whatever the trend, because of contract obligation and the player’s unwavering popularity, Derrick Rose basketball shoes will surely keep on coming. 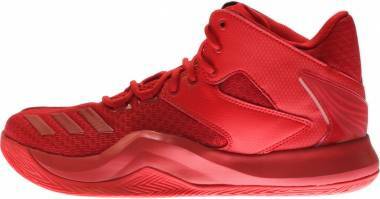 Derrick Rose basketball shoes cost between $140 and $160, which is just right for signature shoes. However, as much as the fans of Derrick Rose want to support him, there are really thrifty buyers who choose to wait for the prices to drop. Within a calendar year, there are plenty of holidays to watch out for. These special days mean special rates in most stores. Some store employees get incentives or commissions when they get to sell a pair. Wise buyers can take advantage of this by making friends with the manager or person-in-charge of the inventory, and leave their contact numbers to them. Buyers can ask to give them a call when the store decides to put up a sale or when new basketball sneakers arrive. These buyers can also inquire if the store has a VIP option that allows them to reserve a pair. Store insiders can also of great help during limited shoe releases. They may accept reservations, give information on the number of pairs they will have, and advise when a particular shoe size will be available. Those who prefer to shop online may have to confirm and watch out for online sales. One trick is for the buyer create an account days before the sale, add their desired items in their cart, and then quickly make the purchases once the prices drop. This way, the buyer can avoid the often fierce competition associated with sales. If they feel safe, they can even save their payment information on the website so they can reserve their items longer. An important caveat is that not all online shops work this way. So before doing anything, it is still wise to read the terms and conditions of the shop. A tip from a sneakerhead: be patient. Websites might encounter issues that can cause some delays, errors, and other weird stuff. It takes a huge amount of commitment if you really want the shoe. As mentioned, it is also recommended for the buyer to familiarize the website pretty well and understand the process on how the checkout works. What is Derrick Rose’s best nickname? Nicknames are given to famous NBA players that help them become more popular and remembered over time. Some sound patriotic and serious, while some are simply hilarious. Fans call Derrick Rose as D Rose. He is also known as Windy City Assassin. But like the rest of us, we have nicknames our family gave us. Derrick’s grandmother gave him the nickname “Pooh” when he was a kid. It may sound funny but don’t go disrespecting grandma! How huge and controversial is the contract of Derrick Rose? According to reports, Derrick Rose and Adidas inked a 14-year and 40-page contract worth a massive $185 million or more in February 2012. The said commitment was signed just two months before he tore his ACL. Recently, it is revealed that Adidas still pays Rose $11 million annually. The contract also mentions his older brother Reggie Rose and bestfriend Randall Hampton. Annually, Reggie is paid between $250,000 to $300,000 as a consultant, and Randall receives between $50,000 to $75,000 for consulting services. Also included in the contract are the use of a private plane, annual appearance fees, and annual royalties of more than $4.8 million and $6.25 million. Lastly, the three stripes also vowed to give $150,000 annually to the chosen AAU team of Derrick Rose.